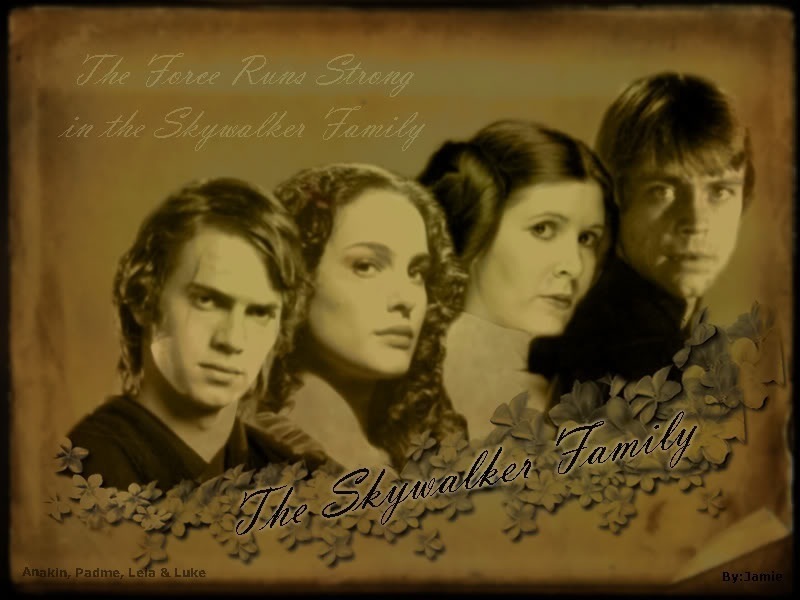 The Skywalker Family. . HD Wallpaper and background images in the The Skywalker Family club tagged: skywalker star wars anakin padmé the skywalkers family leia luke. This The Skywalker Family wallpaper might contain zeichen, plakat, text, tafel, schilder, poster, zeitung, papier, magazin, tabloid, rag, zeitschrift, lappen, boulevard, anime, comic, manga, cartoon, comic buch, karikatur, and comics.